When it comes to buying used cars, value is king. You need to know that what you're getting gives the best overall experience per dollar spent. Nowhere can that experience be more robust than in the understated opulence of a modern luxury car - an experience that fortunately is no longer bound to the deep pockets of the very rich. If depreciation was a person, I'd marry it - that's how unhealthily in love I am with the concept. In the past year or so, I've purchased several high-end BMWs, supercar-smoking Mercedes-Benz luxury liners, and sports cars of a bygone era, which you would've clued into if you'd have followed me on Twitter. The one thing placing them all in a delightfully convenient basket of affordability was the fact that they were at the bottom of their depreciation curves. What this means is that the wealthy original owners of the cars grew tired of cleaning their cars with hypoallergenic cashmere blankets, and elected to get something newer and more deserving of their hilariously expensive detailing supplies. Since the original owners weren't concerned with retaining value on the purchase, they traded their cars in at a frankly criminal discount to the original purchase price, somewhere in the realm of 60 percent - which means that you can find cars purchased new for $100,000 for under $40,000 just a few short years later, in amazingly well-kept condition. Here's a great example of this beautiful concept in action. This nearly perfect 2010 Mercedes S550 originally sold for a chipmunk's nose-hair under $100,000. While not fully loaded by Mercedes' standards, it certainly beats any new car today in terms of refinement and attention to detail, and just take a look at its current buy-it-now price of $40,000, instantly forgetting any reasons why you thought capitalism doesn't work. Even if a brand new Honda Accord has some of the gadgets of an S-Class, it will never be a Mercedes S-Class - and that's the point. Most car manufacturers often test their cars in various environments to simulate driving conditions and moderately harsh climates. This is to ensure that they don't fall apart when hit with a light drizzle or a slight crosswind on a morning commute. However, companies like Audi, BMW and Mercedes test their cars as if they are humanity's only hope to survive the very real apocalypse bearing down on us. I'm sure if I strip off my S-Class' under-carpet soundproofing, I'll have a German translation of "THE END IS NIGH" written in blood by one of the car's engineers. That car was a Mercedes 420SEL - insanely clean and well-looked after examples are currently for sale for less than the price of a lightly used golf cart. I'm not sure of anything else that would even come close if safety is your primary concern. Recently, our very own Doug DeMuro explained exactly how much it cost him to own an impossibly red Ferrari 360 Modena for a year and the results were both eye-opening and surprising, because other than his depreciation costs, which included him being in a hurry to buy AND sell, and his maintenance costs - which included thousand dollars bills for expensive dealer oil changes - he spent less than $1000 on the car, which was, by the way, dead reliable and never left him stranded, in a bad neighborhood, on fire. I'd argue that had he been a little more patient with his buying a selling and used an independent shop or *gasp* done the work himself over a weekend, his Ferrari would've cost him less in the long run than any new performance-oriented regular car. I then changed the interior to an upgraded Nappa leather arrangement from an S600 for $1000 and did the work myself. 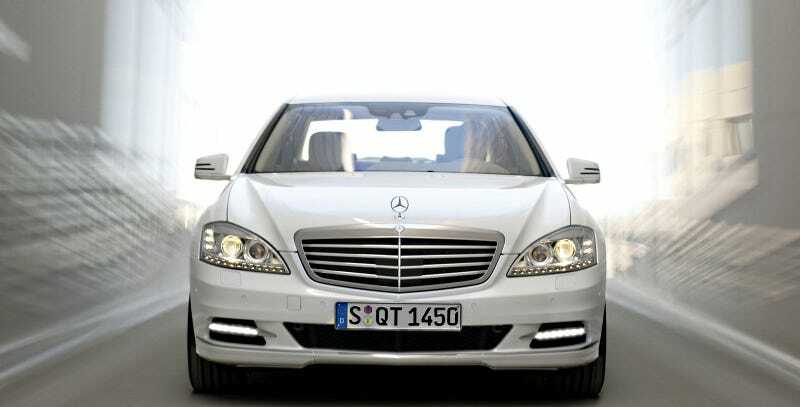 If I factored in the original $3000 purchase price of the car, my total expenditure on a great-running, top of the line Mercedes S-Class is less than $5400 and a few days' time. Yes, some repairs and bespoke parts can be expensive, but a bit of forward-thinking can remedy that if you budget well within your means and leave a safety net in the unlikely event of a catastrophic failure. It isn't impossible and it's not even difficult to do, and it's something anyone with an internet connection and a few free hours can accomplish in short order. I don't have hands of gold and I'm not a Mercedes Master Tech in disguise with access to all of their top-secret diagnostic software. I'm simply a person that did my research, bought a car I liked that was head and shoulders above the rest in terms of outright quality and experience, and it's been nothing but smooth sailing from that point on - my wallet and sanity intact. I'd urge anyone looking to up their quality of life to see what some of these insane, life changing cars are selling for online. You won't regret it.